Business Friendly Certification South East Europe (BFC SEE) is a unique program for improving the quality of services and information that municipalities in the SEE region offer to companies. The City of Pančevo is located in South Vojvodina, at the confluence of the Tamiš and the Danube rivers, at the very edge of the Panonian Plain. It is the economic, cultural and administrative centre of South Banat and one of the most important industrial centres in the Republic of Serbia. Including its 10 surrounding villages, the city area covers 756 km2. Pančevo is just 18 km away from Belgrade and 40 km away form the Nikola Tesla International Airport. Its ethnically diverse population numbers 123,414 of which majority are Serb. 67% of them are working-age population and 10% are with college or university education which is well over the Republic average.The climate is exceptionally agreeable with the annual average of 12ºC. 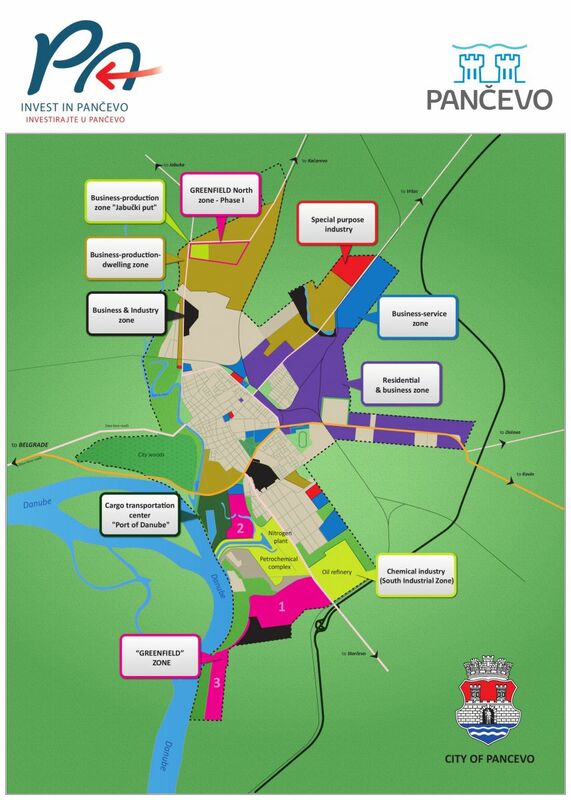 Since the pan-European Corridors 7 and 10 run through this region, the city of Pančevo has an excellent strategic position. It has exceptional road and railway connections with Belgrade being on the regional route E70 (Belgrade-Pančevo-Vršac-Romania). With 2 Transdanubia bridge (Zemun-Borca and Vinča-Stari grad) Pancevo city will be even more attractive for new investment. Also, situated at the confluence of the Tamiš and the Danube rivers (on the Danube transversal of Corridor 7), LUKA DUNAV – the main port of Pančevo, adds to the attractiveness of the city in terms of business locations. The Port of Pančevo on the Danube is the most upstream port for river and seal vessels of maximum 5,000t load capacity, that can take in ships at any water level. The city’s infrastructure is very good, with 150km length of local roads and about 300 telephone lines per 1000 inhabitants. The city of Pančevo was first mentioned more than 850 years ago. Many of our business institutions have a very long tradition. Our first artisan guild was founded 215 years ago. The most renowned governor of the National Bank of Serbia was Djordje Weifert from Pančevo, and the oldest Balkan brewery was founded in 1722. Many industrial factories have a long continuous history like the Oil Refinery, Nitrogen Plant, Petrochemical Industry, Aircraft factory, Glassworks, textile and furniture industries dating back to the 20th century. Ever since 1905, Pančevo has been a town of various state fairs, and has the oldest airport in the Balkans. The most important economic branches in our city are crude oil processing, production of plastic masses (HIP Petrochemical Complex), fertilizers (Nitrogen Plant), textile and fashion industry and agriculture. A new package of economic reforms as well as border with EU have established a favourable environment for growing interest of potential investor.